Abiah Hickox was the daughter of David Hickox and Adah Baldwin. [S136] Gary Boyd Roberts, Notable Kin, Page 10/item 75, 79. 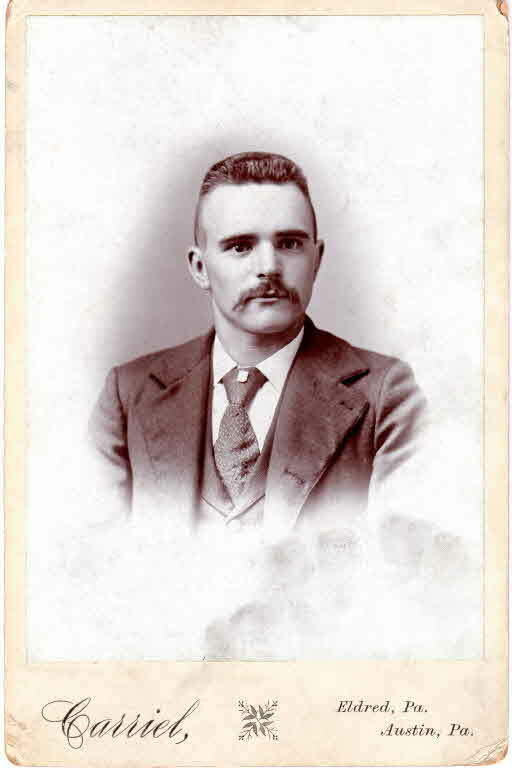 Virgil Hickox Parke was the son of Elisha Parke and Abiah Hickox. [S82] Gary Boyd Roberts and William Addams Reitwiesner, Princess Di, Page 42/Item 75. Guy James Parke was the son of Virgil Hickox Parke and Ellen Elizabeth James. Elizabeth Parke was the daughter of Guy James Parke and Gertrude Newton Chmabers. Elizabeth Parke married Harvey Samuel Firestone Jr.
Child of Elizabeth Parke and Harvey Samuel Firestone Jr.
Harvey Samuel Firestone Jr. married Elizabeth Parke, daughter of Guy James Parke and Gertrude Newton Chmabers. Harvey Samuel Firestone Jr. was born in 1898. He died in 1973. Martha Parke Firestone was the daughter of Harvey Samuel Firestone Jr. and Elizabeth Parke. Gary Boyd Roberts lists as source on Mrs. Firestone and her daughter Mrs. Ford, Mrs. Firestone and Mrs. Ford Selim Walker McArthur, McArthur-Barnes Ancestral Lines 1964. [S82] Gary Boyd Roberts and William Addams Reitwiesner, Princess Di, Page 42/item 79. Children of Anna Rebecca Hall and Elliott Bulloch Roosevelt Sr.
[S807] Find A Grave, online http://www.findagrave.com, Find A Grave, database and images (https://www.findagrave.com : accessed 20 February 2019), memorial page for Anna Rebecca Hall Roosevelt (17 Mar 1863–7 Dec 1892), Find A Grave Memorial no. 11768161, citing Saint Paul's Episcopal Church Cemetery, Tivoli, Dutchess County, New York, USA ; Maintained by Collins Crapo (contributor 669) . Luther Moses was born on 21 November 1788. He was the son of Michael Moses and Thankful Case. Luther Moses died on 22 January 1830 at age 41. [S101] Ruth Cost Duncan, John Case, Page 19. [S275] Frederick Humphreys, Humphreys, Volume I, page 204. Asa Humphrey was born on 27 August 1786 at probably Simsbury, CT.1 He was the son of Asa Humphrey and Asenath Case. Asa Humphrey married Rhoda Moses, daughter of Michael Moses and Thankful Case. Asa Humphrey died on 29 January 1843 at Simsbury, Hartford Co., CT, at age 56. Martin Moses was born on 29 June 1794. He was the son of Michael Moses and Thankful Case. Elijah Reed was born on 13 July 1743 at Simsbury, Hartford Co., CT. He was the son of Jacob Reed and Mary Hill. Elijah Reed married Elizabeth Case, daughter of Joel Case and Thankful Hoskins. Elijah Reed died in June 1795 at age 51. Chandler L. Holcombe was born on 27 February 1836 at Chenango Co., NY.2 He was the son of John Hornsby Holcombe and Abigail Cummings. Chandler L. Holcombe married Lucy Morse circa 1857.3 Chandler L. Holcombe died on 7 January 1918 at Bolivar, Allegany Co., NY, at age 81.2 He was buried at Eulalia Cemetery, Coudersport, Potter Co., PA.
Chandler and Lucy were enumerated in the 1860 Ceres, McKean Co., PA, federal census. He was a farmer, age 25, she was 24. The only child in the household was Harvey 2. Chandler and Lucy were enumerated in the 1870 Annin, McKean Co., PA, federal census. He was a farmer age 34, she was 34. Children in the household were Harvey 11, Verdet 7, and Herson 5. Chandler and Lucy were enumerated in the 1880 Sweden, Potter Co., PA, federal census. He was a farmer age 44, she was 40. Children in the household were Harvey 21, Burdett 17, Herson 15, Louie 9, and Herbert 8. C.L. and S.M. were enumerated in the 1900 Eulalia, Potter Co., PA, federal census. He was 64, born in Feb. 1836 and she was 64, born in March 1836. Children in the household were Herbert, born June 1872, and Floyd S. born Jan. 1882. Chandler was enumerated in the 1910 Sweden, McKean Co., PA, federal census in the household of son-in-law Willard Irwin. He was 74. [S25] Hannah McPherson, Holcombe Genealogy, Page 34.2/Item A-4-2-10-1-1-7-1. [S25] Hannah McPherson, Holcombe Genealogy, Page 34.2/Item A-4-2-10-1-1-7-2. McPherson says that Asahel moved in 1843 to Amin Creek, Ceres Twp, McKean Co., Pa. but Asahel V was born in 1840 according to her, so must be typo and mean 1863. He "enlisted July 1864 in Co., C. 211th Pa. Vol. Inf. Regt. 5th and 9th Army Corps; engaged in battles of Ft. Steadman, Petersburg and Chapin Farm. Of his command of 1400 enlisted had only 300 surviving at discharge in July 1865. He moved in 1879 to Portville, Cattaragus Co., NY and in 1886 to Franklinville, Cattaragus Co., NY." . . . Corneila's parents were . . . "emigrants to America from the French Cantons, Switzerland." [S25] Hannah McPherson, Holcombe Genealogy, Page 34.2/Item A-4-2-10-1-1-7-3. [S807] Find A Grave, online http://www.findagrave.com, Find A Grave, database and images (https://www.findagrave.com : accessed 06 March 2018), memorial page for Asahel V. Holcomb (17 Feb 1840–18 Oct 1923), Find A Grave Memorial no. 106201397, citing Mount Prospect Cemetery, Franklinville, Cattaraugus County, New York, USA ; Maintained by J. G. in NC (contributor 47309995) . [S807] Find A Grave, online http://www.findagrave.com, Find A Grave, database and images (https://www.findagrave.com : accessed 06 March 2018), memorial page for Lewis Holcomb (1 Oct 1882–9 Dec 1882), Find A Grave Memorial no. 15668165, citing Annin Creek Cemetery, Turtlepoint, McKean County, Pennsylvania, USA ; Maintained by mouraine (contributor 46858024) . [S807] Find A Grave, online http://www.findagrave.com, Find A Grave, database and images (https://www.findagrave.com : accessed 06 March 2018), memorial page for Gerry Holcomb (1887–15 Aug 1887), Find A Grave Memorial no. 96583004, citing Annin Creek Cemetery, Turtlepoint, McKean County, Pennsylvania, USA ; Maintained by MSue (contributor 47040510) . [S25] Hannah McPherson, Holcombe Genealogy, Page 34/item A-4-2-10-1-1-7-5. Alice Holcombe was born on 15 December 1845 at Annin Creek, McKean Co., PA.1 She was the daughter of John Hornsby Holcombe and Abigail Cummings. Alice Holcombe married James Wood.1 Alice Holcombe married Parker Harder.1 Alice Holcombe died on 4 August 1940 at Eldred, McKean Co., PA, at age 94.2 She was buried at Annin Creek Cemetery, Turtlepoint, McKean Co., PA.
Alice, at the age of ninety-three, recalls that three of her brothers, Asahel, John and Levi, were soldiers in teh 85th regiment of New York, and that John after having been discharged at the expiration of his term of service, was captured and taken to the notorious Andersonville prison, where he was held for eleven months. [S25] Hannah McPherson, Holcombe Genealogy, Page 34.2/item A-4-2-10-1-1-7-7. Willard and Louie were enumerated in the 1910 Sweden, McKean Co., PA federal census. He was a farmer age 39, she was 39. Children in the household were Arline M. 6, and Betress L. 4. Also in the household was Louie's father. [S25] Hannah McPherson, Holcombe Genealogy, Page 34.2/item A-4-2-10-1-1-7-9. [S807] Find A Grave, online http://www.findagrave.com, Find A Grave, database and images (https://www.findagrave.com : accessed 06 March 2018), memorial page for Carlton Holcomb (1854–1941), Find A Grave Memorial no. 106876371, citing Maple Grove Cemetery, Shinglehouse, Potter County, Pennsylvania, USA ; Maintained by Harry Miller (contributor 47283629) . Erzelia Faye was born on 24 January 1846 at Bolivar, Allegany Co., NY. She married John C. Holcombe, son of John Hornsby Holcombe and Abigail Cummings, in 1865. Erzelia Faye died on 8 August 1886 at Richburg, Allegany Co., NY, at age 40. Florence Taylor was born on 12 April 1857 at Scio, Allegany Co., NY. She married John C. Holcombe, son of John Hornsby Holcombe and Abigail Cummings, in 1888. Florence Taylor died on 5 February 1933 at Olean, Cattaraugus Co., NY, at age 75. "Henry C. Holcombe, Portville, Cattaragus co., NY was a lumberman and mercahnt until 1903, Postmaster and Justice of the Peace . . . . Matthew and Hannah (Post) McDowell were immigrants from Ireland." [S25] Hannah McPherson, Holcombe Genealogy, Page 35.1/Item A-4-2-10-1-1-7-3-1. [S807] Find A Grave, online http://www.findagrave.com, Find A Grave, database and images (https://www.findagrave.com : accessed 06 March 2018), memorial page for Henry Chevalier “Harry” Holcomb (23 Dec 1861–23 Feb 1951), Find A Grave Memorial no. 59333364, citing Chestnut Hill Cemetery, Portville, Cattaraugus County, New York, USA ; Maintained by Betty Hicks (contributor 47445048) . [S807] Find A Grave, online http://www.findagrave.com, Find A Grave, database and images (https://www.findagrave.com : accessed 06 March 2018), memorial page for Julian Clendenon “Jules/Julie” Holcomb (28 Feb 1863–Apr 1896), Find A Grave Memorial no. 166770614, citing Annin Creek Cemetery, Turtlepoint, McKean County, Pennsylvania, USA ; Maintained by Chris Hobson (contributor 48052107) . [S25] Hannah McPherson, Holcombe Genealogy, Page 35.1/Item A-4-2-10-1-1-7-3-3. [S807] Find A Grave, online http://www.findagrave.com, Find A Grave, database and images (https://www.findagrave.com : accessed 06 March 2018), memorial page for Alice Sarah Holcomb Greer (29 Jul 1866–1900), Find A Grave Memorial no. 15667788, citing Annin Creek Cemetery, Turtlepoint, McKean County, Pennsylvania, USA ; Maintained by mouraine (contributor 46858024) . [S807] Find A Grave, online http://www.findagrave.com, Find A Grave, database and images (https://www.findagrave.com : accessed 06 March 2018), memorial page for Hector Levy Holcomb (12 Nov 1868–9 Oct 1892), Find A Grave Memorial no. 15667812, citing Annin Creek Cemetery, Turtlepoint, McKean County, Pennsylvania, USA ; Maintained by mouraine (contributor 46858024) . [S807] Find A Grave, online http://www.findagrave.com, ind A Grave, database and images (https://www.findagrave.com : accessed 06 March 2018), memorial page for Ella Cornelia Holcomb Wood (26 Mar 1869–17 Feb 1961), Find A Grave Memorial no. 106892518, citing Maple Grove Cemetery, Shinglehouse, Potter County, Pennsylvania, USA ; Maintained by Chris Hobson (contributor 48052107) . [S25] Hannah McPherson, Holcombe Genealogy, Page 35.1/Item A-4-2-10-1-1-7-3-6. [S807] Find A Grave, online http://www.findagrave.com, Find A Grave, database and images (https://www.findagrave.com : accessed 06 March 2018), memorial page for Robert Aden Holcomb (11 Jan 1871–27 Aug 1920), Find A Grave Memorial no. 100898600, citing Mount Prospect Cemetery, Franklinville, Cattaraugus County, New York, USA ; Maintained by J. G. in NC (contributor 47309995) . [S25] Hannah McPherson, Holcombe Genealogy, Page 35.1/Item A-4-2-10-1-1-7-3-7. [S807] Find A Grave, online http://www.findagrave.com, Find A Grave, database and images (https://www.findagrave.com : accessed 06 March 2018), memorial page for Ethel Ada Holcomb Holly (16 Jun 1872–unknown), Find A Grave Memorial no. 165266238, citing Mount Prospect Cemetery, Franklinville, Cattaraugus County, New York, USA ; Maintained by Chris Hobson (contributor 48052107) . [S25] Hannah McPherson, Holcombe Genealogy, Page 35.1/Item A-4-2-10-1-1-7-3-8. [S807] Find A Grave, online http://www.findagrave.com, Find A Grave, database and images (https://www.findagrave.com : accessed 06 March 2018), memorial page for Archibald E. Holcomb (17 Oct 1873–1944), Find A Grave Memorial no. 15667976, citing Annin Creek Cemetery, Turtlepoint, McKean County, Pennsylvania, USA ; Maintained by mouraine (contributor 46858024) . [S807] Find A Grave, online http://www.findagrave.com, Find A Grave, database and images (https://www.findagrave.com : accessed 06 March 2018), memorial page for Frank Fulton Holcomb (9 Apr 1875–unknown), Find A Grave Memorial no. 165266439, citing Annin Creek Cemetery, Turtlepoint, McKean County, Pennsylvania, USA ; Maintained by Chris Hobson (contributor 48052107) . Philip Claire was from Turtle Point, McKean Co., Pa. They had six children unnamed by McPherson. [S25] Hannah McPherson, Holcombe Genealogy, Page 35.1/Item A-4-2-10-1-1-7-3-10. [S807] Find A Grave, online http://www.findagrave.com, Find A Grave, database and images (https://www.findagrave.com : accessed 06 March 2018), memorial page for Mildred Claire Holcomb Norton (17 Sep 1883–13 Oct 1936), Find A Grave Memorial no. 15668251, citing Annin Creek Cemetery, Turtlepoint, McKean County, Pennsylvania, USA ; Maintained by mouraine (contributor 46858024) . [S807] Find A Grave, online http://www.findagrave.com, Find A Grave, database and images (https://www.findagrave.com : accessed 06 March 2018), memorial page for Mary Holcomb (1 Jan 1877–16 Sep 1882), Find A Grave Memorial no. 15668106, citing Annin Creek Cemetery, Turtlepoint, McKean County, Pennsylvania, USA ; Maintained by mouraine (contributor 46858024) . [S807] Find A Grave, online http://www.findagrave.com, Find A Grave, database and images (https://www.findagrave.com : accessed 06 March 2018), memorial page for Ashael Frederick Holcomb (20 Mar 1880–16 Jun 1881), Find A Grave Memorial no. 15668211, citing Annin Creek Cemetery, Turtlepoint, McKean County, Pennsylvania, USA ; Maintained by mouraine (contributor 46858024) .